How do you measure the effectiveness of your organization’s cybersecurity? Identifying cyberattacks, containing threats, and remediating your IT environment are key to protecting your business. Increasing cyberthreats and data breaches have touched everyone, from small businesses to large corporations. Dwell time is a critical metric to determine the efficacy of your cybersecurity team’s data protection and defense. At Armor, dwell time is defined as the duration of a bad actor’s presence in an IT environment—from infiltration to eradication. It takes just five days for an advanced persistent threat (APT) to penetrate your network and steal data. In this environment, you need protection that reduces dwell time to seconds, not days. 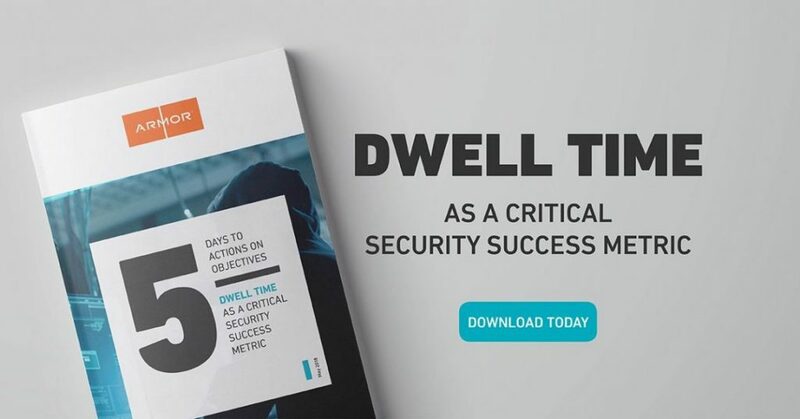 Download this e-book today and learn about dwell time and the cybersecurity industry.